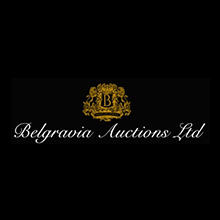 Belgravia Auctions Limited, The UK's first 0% commission auction was born out of the need for a high-end auction house without the punitive commission premiums charged by auction houses. A collective of antique dealers have come together to form an auction house that keeps costs to a minimum and utilises the latest technology. In today's world of hi-tech, online auctions are without doubt the future. We can offer you the same exposure worldwide as every other auction house at a considerable saving. for instance a sale of ￡10,000 at an auction house could mean you pay fees of ￡3,000 incl. VAT, leaving you with ￡7,000. If you consign your item(s) to Belgravia you would pay NOTHING leaving you ￡10,000. We have spent decades attending auctions as both the buyer & seller and appreciate how much difference commission rates matter. We are number one for auctions in Berkshire, Hampshire, Surrey, Oxfordshire, Sussex & London.